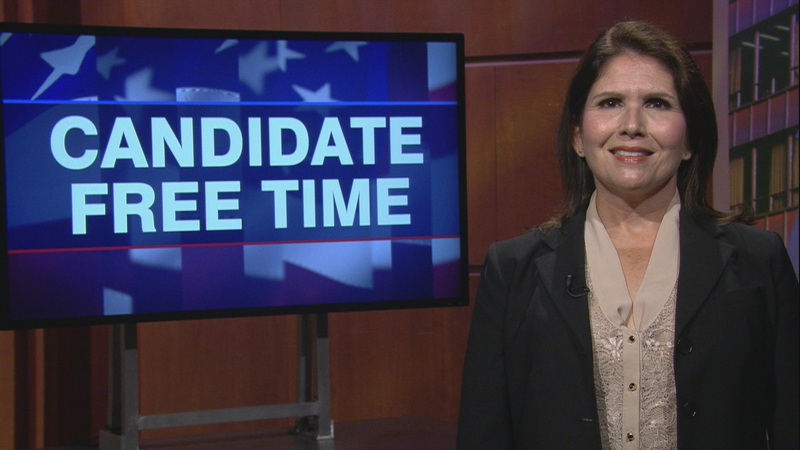 Video: Evelyn Sanguinetti tells voters about her platform. Learn more about Candidate Free Time. The lieutenant governor is the executive officer of Illinois who is next in rank to a governor, and who takes the governor’s place in case of disability or death. See more candidates running for this office. What is your vision for this office? When Bruce and I ran for office four years ago it was to make state government more accountable to the people. For far too long, career politicians, focused more on amassing power than serving the people they represent, have controlled state government. The people of Illinois have had enough. Bruce Rauner and I were elected four years ago to end corruption and clean up state government. In our first term, we took serious and significant steps toward restoring accountability among our elected officials. We will continue such efforts in our next four years. In our second term, we will continue our fight against corruption by fighting for term limits and fair maps – two bipartisan issues supported by 80% of all Illinoisans. Bruce and I will enact term limits on all elected officials because public service should be just that – service. It should not be a hotbed for power-hungry career politicians. We also need a fair maps amendment to ensure that elections are competitive. For decades, lawmakers with the power to draw Illinois’ legislative districts have rigged the system, protecting their own political power and serving their own partisan interests. Gerrymandering, as it’s known, is corrosive to our democracy. Bruce Rauner and I are committed to delivering genuine redistricting reform. The solution is simple: We must remove partisan politics from the process and allow an independent redistricting commission to draw maps that accurately represent the people of Illinois. We can no longer enable career politicians to draw legislative districts as crooked as they are. What is the most pressing issue facing constituents, and how can you help address it? The biggest issue facing our state, and defining this election, is taxes. Illinois faces one of the worst tax burdens in the country. We are fighting an exodus of both residents and businesses fleeing our state at alarming rates for lower-tax states. Historically, Democrats in Illinois have tried to tax our way out of problems. That “tax and spend” mentality of the General Assembly under Mike Madigan disrespects hardworking taxpayers and has hamstrung our ability to grow a healthy economy. And yet, our opponents for Governor and Lieutenant Governor are offering a tax plan lacking in substantive detail and nothing but more of the same strategy of imposing yet another tax hike on Illinoisans. Governor Rauner and I want Illinoisans to decide for themselves what to do with more of their hard-earned money. We want to make Illinois a more attractive place to build a business and raise a family. In our second term we must reduce wasteful spending and needless regulation and ease our income and property tax burden so more businesses can open, grow and create good-paying jobs here in Illinois. Hello, I’m your Lieutenant Governor, Evelyn Sanguinetti. It has been an honor serving all of you alongside Governor Bruce Rauner these past four years. Hardworking Illinois families and businesses have felt the burden of corruption, high taxes and wasteful spending for decades. For too long, there was no one willing to stand up and fight on behalf of the hardworking taxpayers of Illinois. Until 2014, when Bruce Rauner and I showed up to finally take a stand against the corrupt political machine. We knew it was going to be a constant battle. But we also know that Illinois is worth it. All of you are worth it. And despite efforts by the machine to block reforms we were able to get big things done in our first term. We fought for a more equitable school funding formula and the Invest in Kids scholarship tax credit program so students have access to a high quality education no matter their parents’ income. We have led the way in addressing the opioid epidemic. We have brought more than 200,000 jobs to the state of Illinois. And we have taken steps to end corruption in government by increasing transparency and putting an end to patronage hiring. But you can’t overturn decades of mismanagement in just four years. We need another term to finish our fight for reform in Illinois. Bruce and I will implement crucial economic reforms, cut taxes, and clean up state government with term limits. So I humbly ask Illinois voters, to cast your vote for Rauner-Sanguinetti on November 6th. Let’s finish what we started and get Illinois back on track. WTTW’s 2018 Voters’ Guide to the General Election is an online resource designed to inform voters about the candidates running for office in the Nov. 6 election. Candidates were given two minutes to tell voters where they stand on the issues, why they feel they are best qualified and what they intend to do if elected or re-elected. The messages were recorded at the WTTW studios at no cost to the candidates. The Voters’ Guide is an online version of Candidate Free Time, pioneered by WTTW in the 1992 race for U.S. Senate. This year’s Candidate Free Time is produced with and underwritten in part by the League of Women Voters of Cook County.